I missed the train last year! 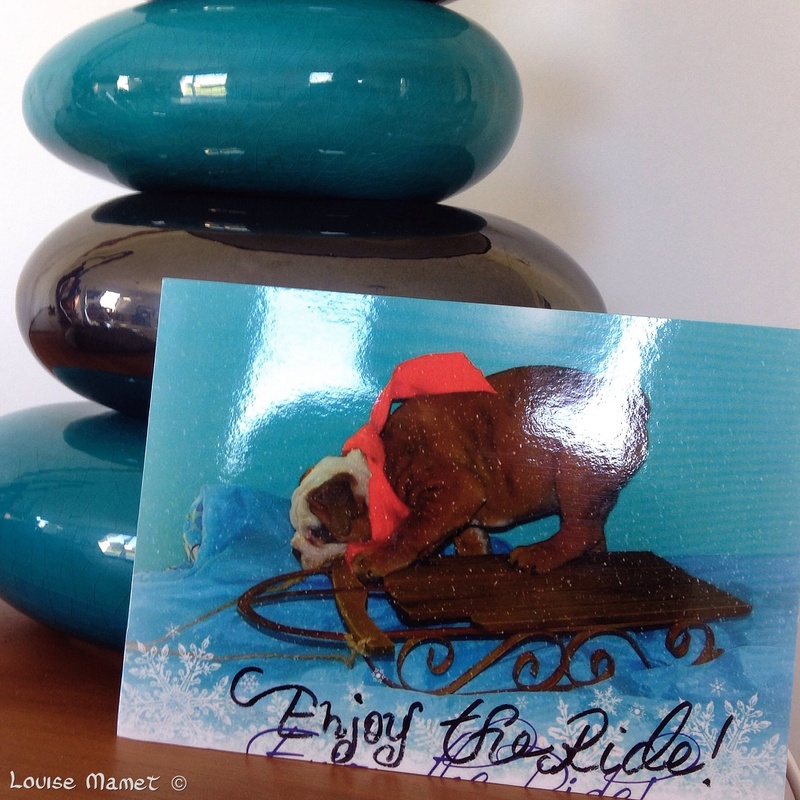 I discovered too late the 2014 Edition of Liberate Your Art Postcard Swap. I promised to myself that I will have to sign in for the 2015 session. I did it! As some of you may know one of my favorite words is sharing, this represents for me the basic steps of life and I do my best to keep to it. This postcard swap has some meanings for me, first sharing… then communication and also, eagerness to see how other people in the world expressed their creativity. It is (I could use the past tense but the Swap is still going on, with the Blog Hop for example) as far as I am concerned a wonderful adventure to discover the creativity each of the participant (not only my fellow “swappers”) and to be honest I was really amazed by the skill expressed either in paintings, collages and photography. Each one did a fantastic job. First postcard which landed in my mailbox is from Susan Stewart, from Florida, USA. Wonderful watercolor, thank you Susan, now the Florida’s sun has met with the one in Brittany, France! 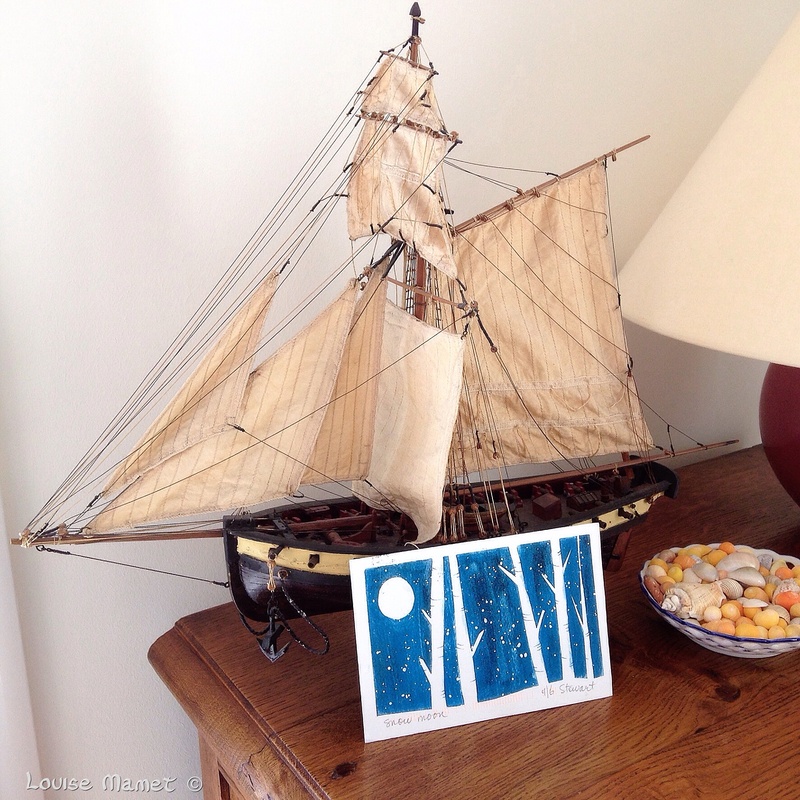 As the postcard came from across the pond, I thought that showing it next to a vessel illustrates that the World has no boundary. A couple of days later, Debbie Osborn postcard was received… Debbie is almost a neighbour, she lives in the UK, just across the Channel. Thanks Debbie! The fourth postcard I received, came from Amy Duncan, Seattle, WA, USA… I really love your postcard Amy, thanks a lot! 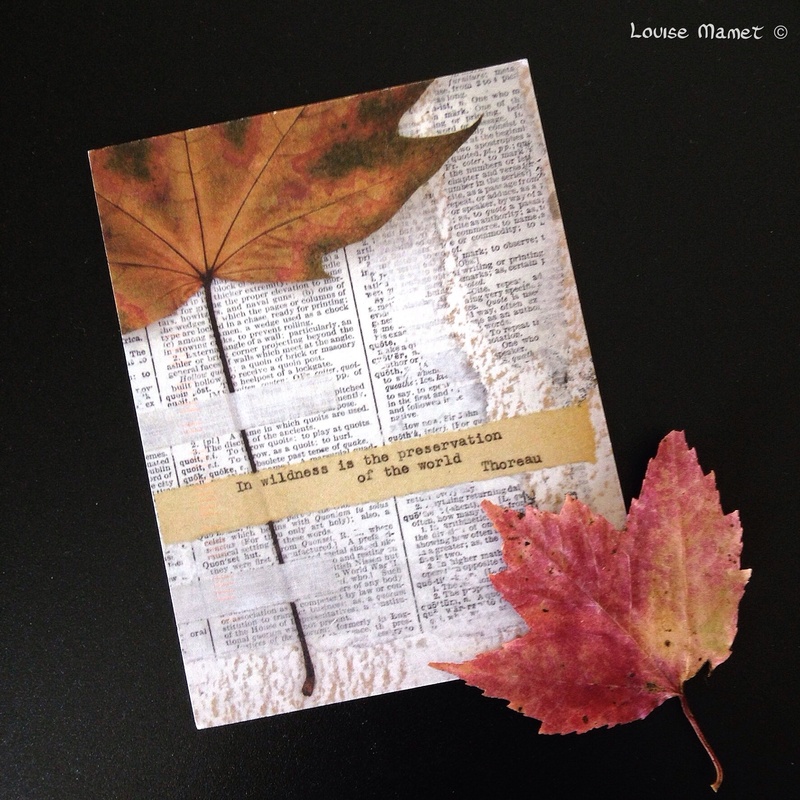 I am showing it combined with a maple leaf I collected some time ago visiting New England… Check out Amy’s blog to discover her amazing work. Then came the fifth postcard… When I received it from Lynne Foerster from Pennsylvania, USA, I didn’t know where the photo was taken. Then connecting with Lynne, she told me it was in Cape Cod, which I visited during my last visit to the US… I was thrilled to have this image as it reminded me having a great time with my friends over there. 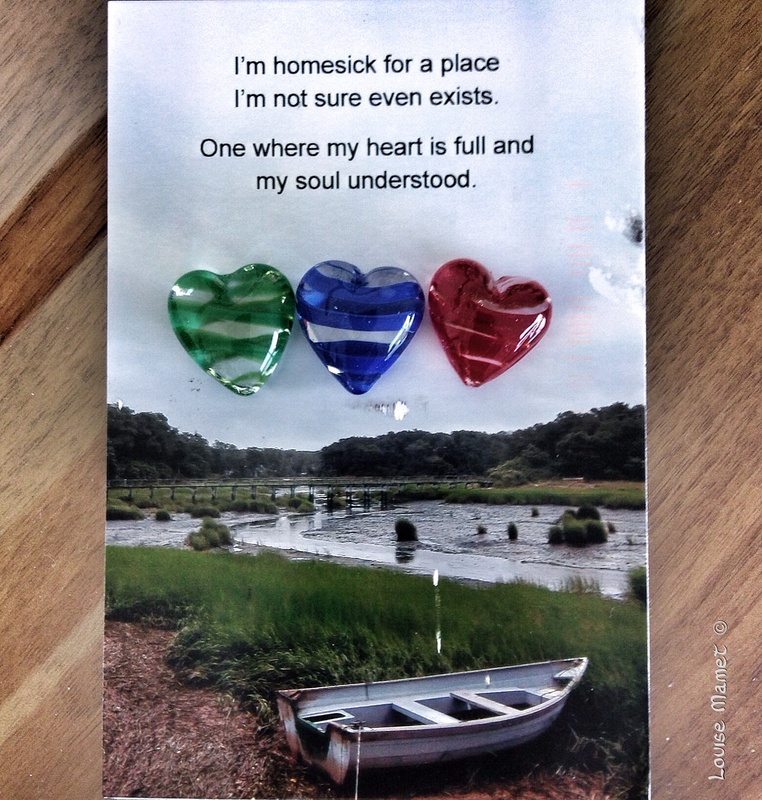 Thank you so much Lynne… Hope to meet you in Cape Cod one of these summers! I thought adding 3 hearts was a good way to show Lynne’s photo… I would recommend you to check Lynne’s Etsy shop. 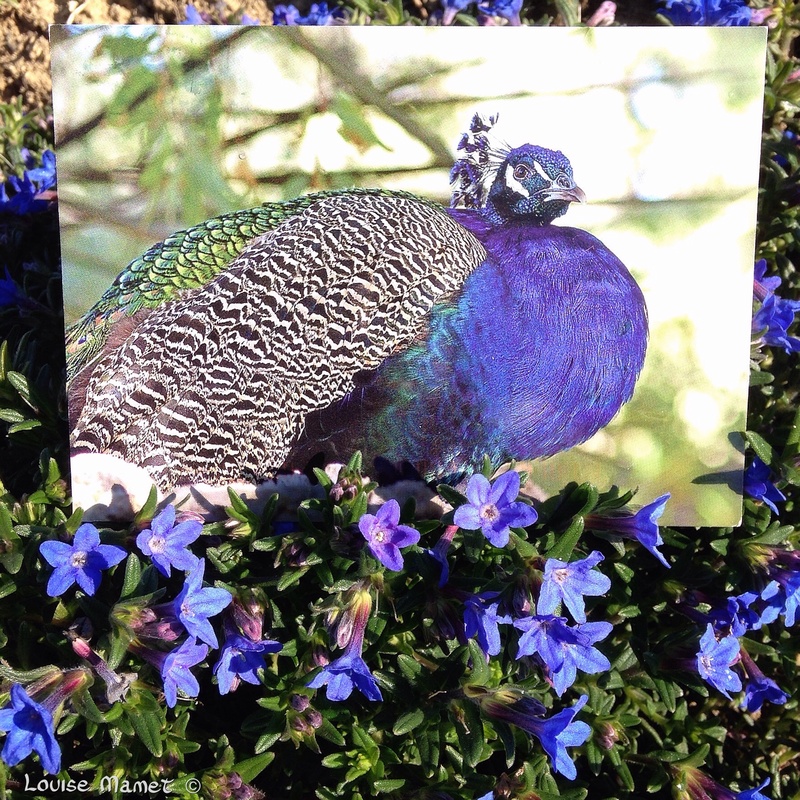 This proud peacock flew from Phoenix, Arizona, all across the ocean and landed in Brittany, France. These blue flowers were waiting for him. Thank you so much, Deanie! This one school room house with this beautiful light made my day! Siobhan Wolf from Ohio, USA, sent it to me. I am really fond of this red color either on houses, barns and farms… You could not have made a better choice, Siobhan. 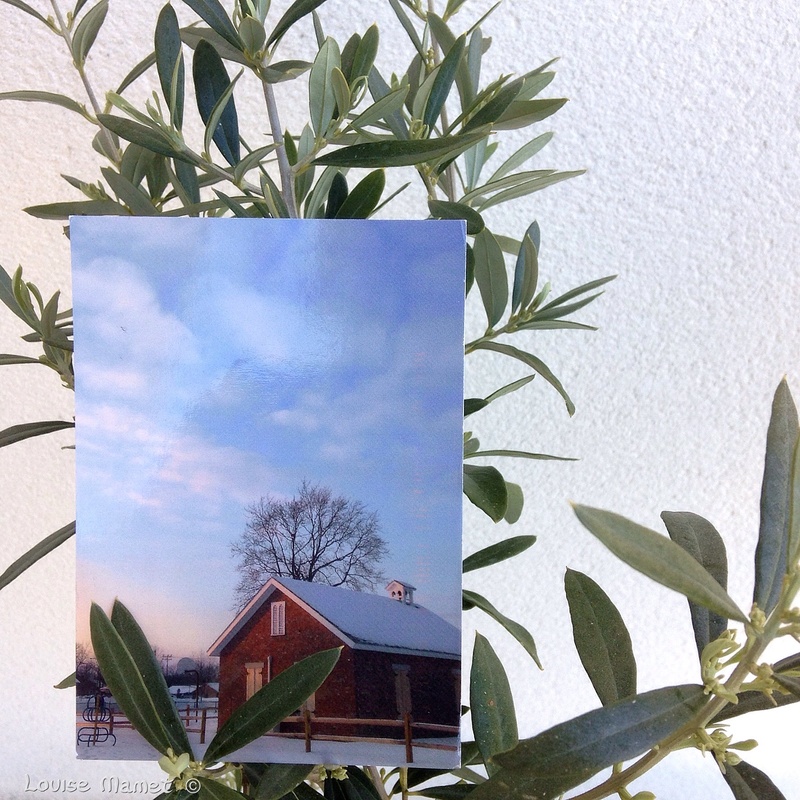 “Merci beaucoup, mon amie!” I thought that displaying the postcard on an olive tree was peaceful… Have a look at Siobhan’s blog! 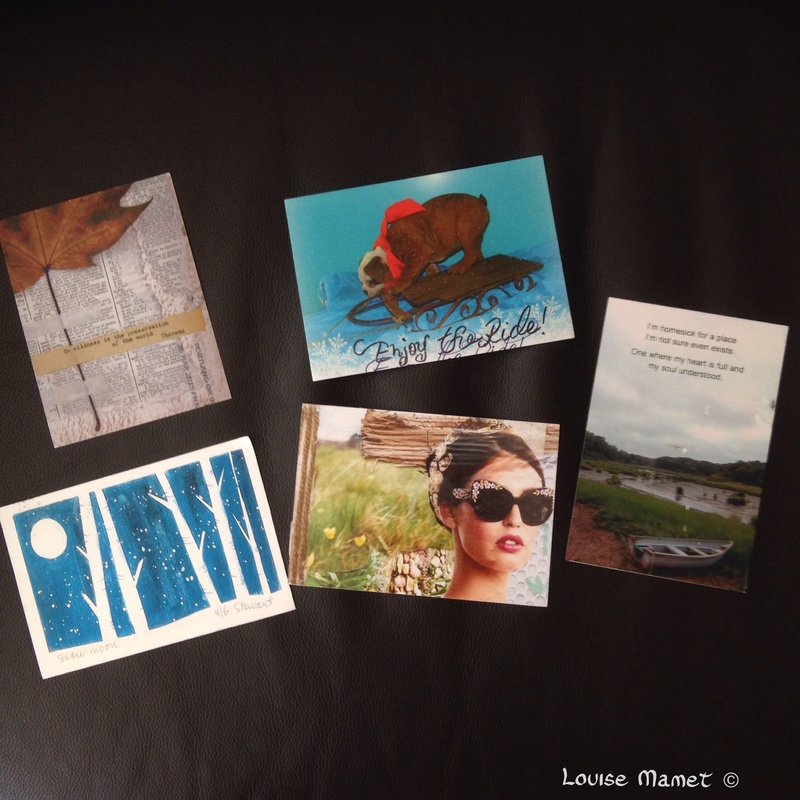 Can’t wait for 2016 Liberate Your Art Postcard Swap! Yes, a lovely post. This swap has opened a few new horizons – not only the art itself with such a diversity of creativity, but new friendships as well. Louise, I had trouble with the linking technology for the blog hop but will try to add my post to my FB page as you have done. Thanks for the idea! Glad you liked the post, Susan… I do hope that we will keep in touch! Thanks for your encouragement Louise!! I did this morning exactly what I had done yesterday, but for some wonderful reason, today the link thing worked!!! Technology is both wonderful and frustrating…… à bientôt! Tu as raison : toutes ces expressions artistiques que nous avons pu voir au cours des semaines passées sont fantastiques ! Merci à toi d’avoir partagé ce swap et de m’avoir donné envie d’y participer aussi ! That sounds really great! I absolutely love sending postcards and always try to do so on my travels… I must sign up to this swap next time. Thank you! The World is full of creativity and talented people… So glad to have gathered some samples through this swap! I definitely encourage you to sign in next year! Such a fine array of lovely cards and the cards you sent out are really beautiful and special! Thank you for visiting my blog, Patty… I appreciate your comment! Me too, this year is my first participation to the Swap and will for sure sign in next year. Best wishes, enjoy the end of the week, xo. Wonderful! The cards you sent are great and you’ve received some lovely ones. I’m always amazed at the variety of cards each year. I do love mail call! Nice of you stopping by… Am also amazed by all these talents! Can’t wait for the 2016 edition. 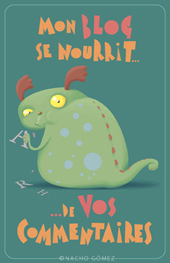 Have a great week-end! Thank you so much, Sheila, I truly appreciate. Nice of you stopping by. 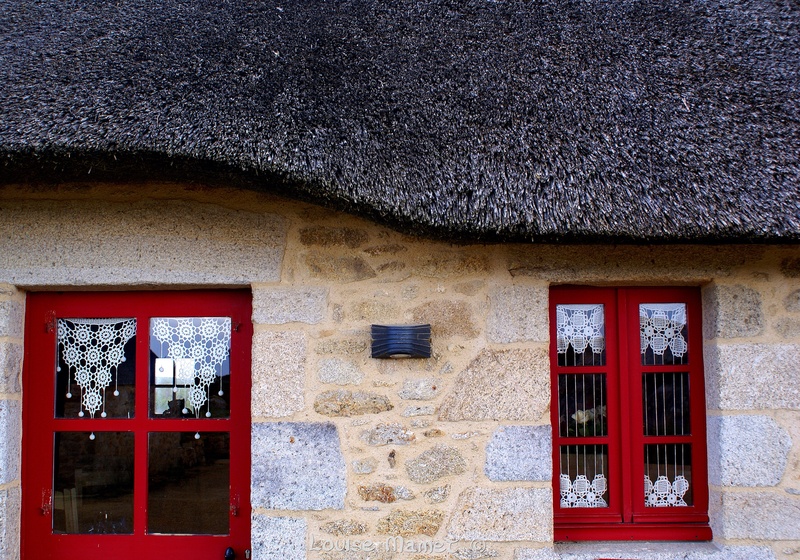 Best wishes from Brittany, France. Beautiful! 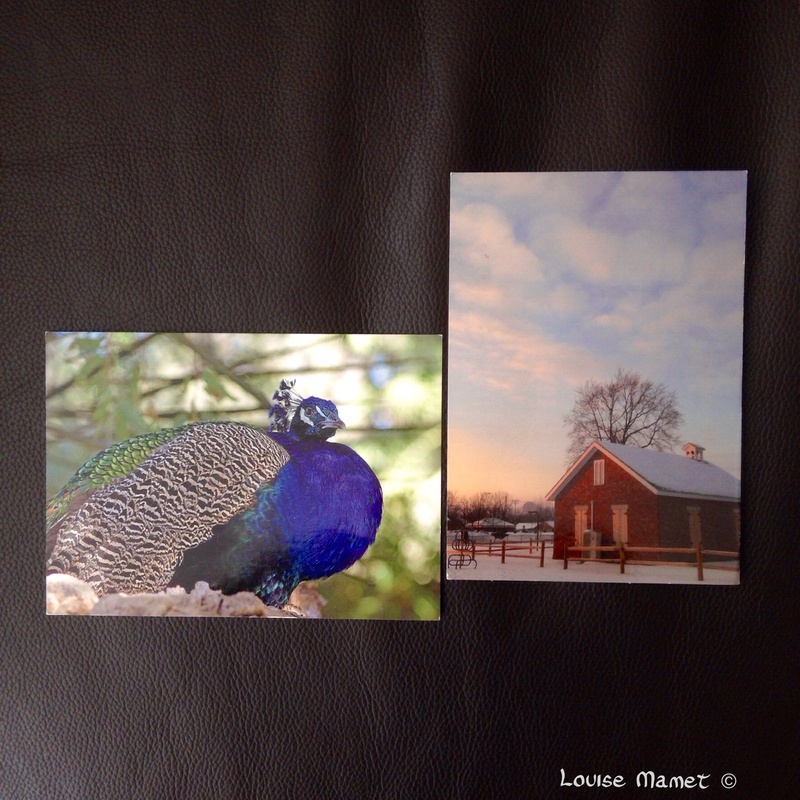 I love how you took photos of the cards you received in different surroundings! I didn’t think to do that. Next year! And your photos are gorgeous. 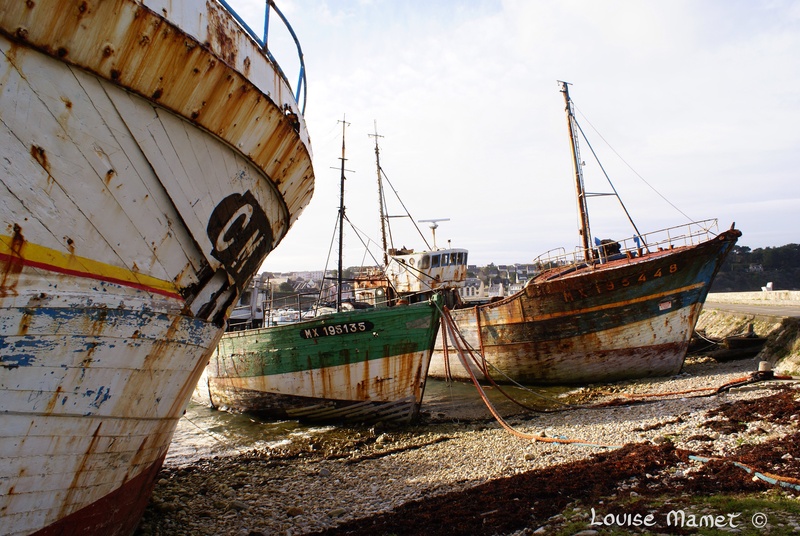 Thanks for stopping in to my blog. Nice of you Kelly, thanks a lot…Best wishes and “see you” next year for the LYA edition! Lovely post! I love your presentation of the beautiful postcards you received. Your cards are beautiful too. I’ll be in touch soon. Thanks a lot Chandra! I do appreciate. Looking forward to hearing from you soon. Enjoy your day! Hello! Hopping by, and enjoying others’ collections and how they display! This was my 1st year, and I’m also looking to see where my offerings landed. I forgot to put my email on them! Looking forward to next year! Thank you for sharing! You received some gorgeous postcards and you displayed them so lovely! The ones you sent were gorgeous, too! 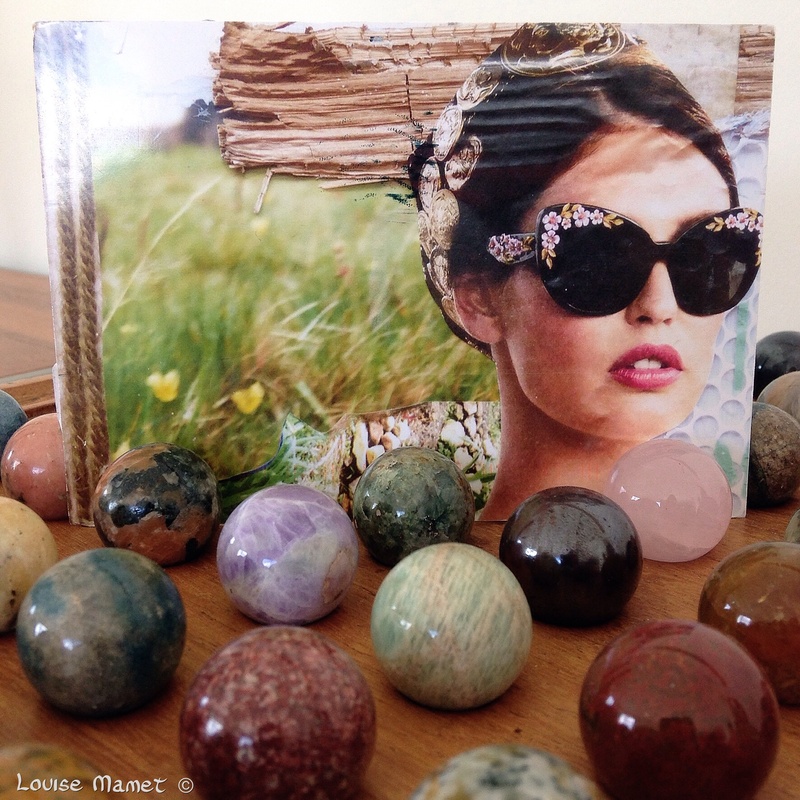 This is such a fun time of the year; the swapping, the art, and the blog hopping! Hi Louise! I am the lucky recipients of one of your gorgeous postcards. So sorry it has taken this long to contact you. 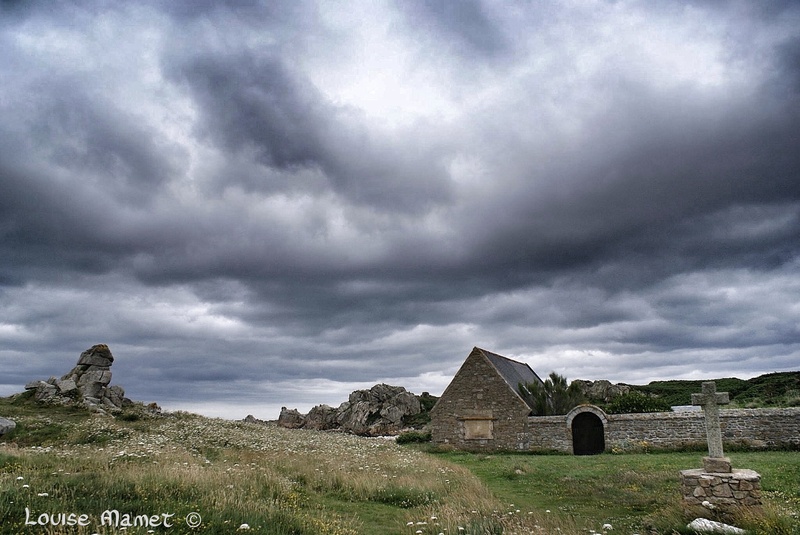 It’s the pic of stone church/cross on tiny island off Brittany – lots of storm clouds. It’s a beautiful shot – thank you so much. It made it all the way to Melbourne, Australia. 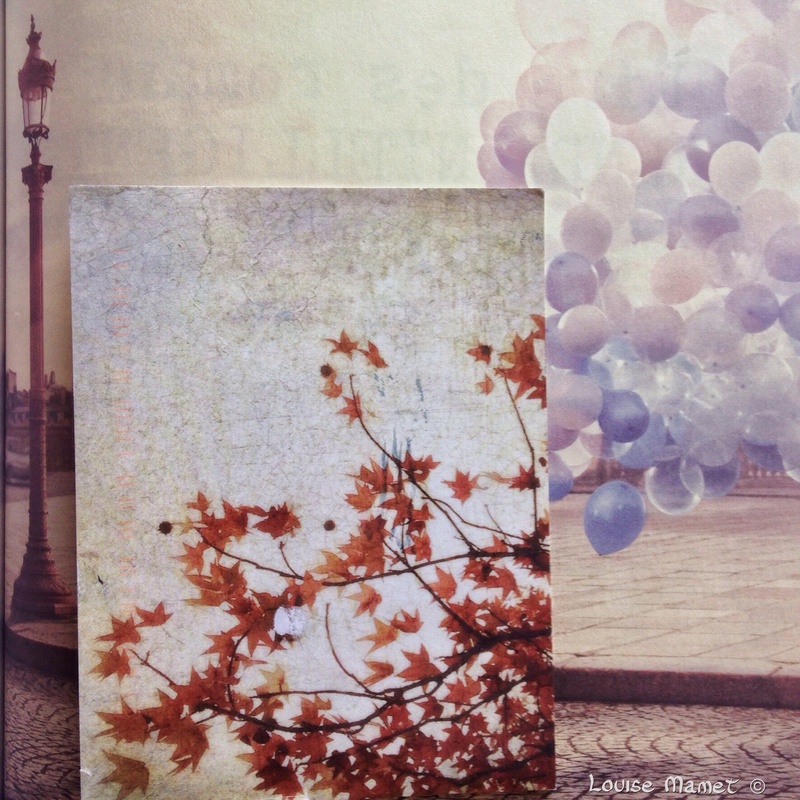 I have loved the postcard swap also – will definitely be participating in 2016.